It’s that time of year again. When the men grow out their facial hair in the name of men’s health, the weather gets multiple personalities and goes from 60 to snowing in a matter of 12 hours, and our calendars start busting at the seams as we prepare for the holiday hustle. Every year I promise myself I will not make myself crazy. I will prepare ahead of time. I will not over schedule my family. I will not go overboard with presents and will teach my children that giving is so much sweeter than receiving. I will be patient with my family as we try to negotiate who goes when where why with whom. I will actually get out a family photo and letter for Christmas (a feat I have not accomplished in at least three years). As my husband’s beard grows, so do my expectations of the season. I remember the magic of my childhood where all I had to worry about was my part in the church play, playing with my cousins at our annual family Thanksgiving, and pouring over the Toys-R-Us catalogue. I had a fisher price record player in my room and a Christmas record of the Chipmunks Christmas playing incessantly as my own personal seasonal soundtrack (Mom and Dad – I am so sorry about that.) 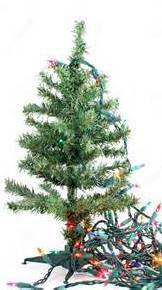 I’d beg to be the one to have the mini fake (falling apart, Charlie Brown) Christmas tree in my room and Christmas lights strung above my window so I could fall asleep to the twinkle. I’d sit for hours and bask in the magic as I wrapped incredibly practical gifts I lovingly purchased for my family members with my allowance money (like that coffee mug I bought my baby brother…um, yeah… sorry, Scott). I yearn for that magic now. Is it even possible now that the curtain has been pulled back and I see the grown-up realities of bills, packed schedules, complicated relationships, and commercialism? I guess that’s up to me. The older I get the more I learn I am the keeper of my thought life and the emotions that follow. What will I dwell on? Right now, will I dwell on wet, muddy footprints of my floors, my achy joints and long list of chores? Or will I stop and watch my children play in the surprise snow(slush)storm? 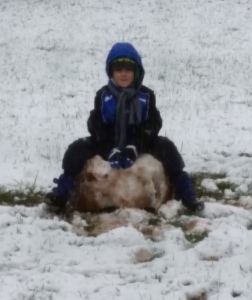 Michael has made himself a snow-throne (how appropriate) to sit on and order around his brother. 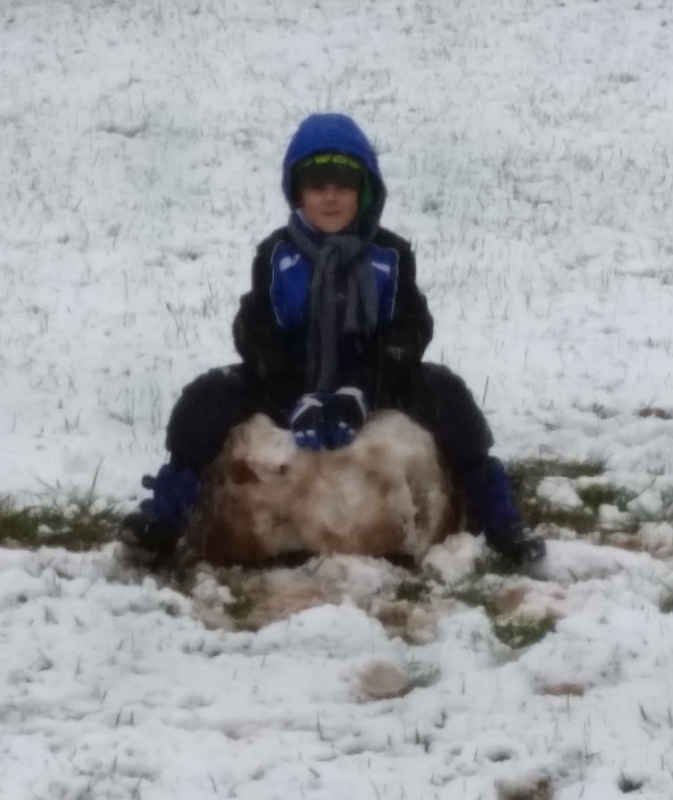 Will is ignoring his brother’s orders and making snowballs for a fantasy world and battle I cannot see but is very real to him. Will I take a breath and tap out my thoughts in front of a beautiful crackling fire made by my husband who blesses me with working from home? I can choose to make my own magic. Yes, it’s true, the kids are whining and coming in to tattle on each other. The dog went nutso and spread mud throughout the downstairs. My laundry baskets are at a Threat Level Red. My health is undeniably crappy and unpredictable and it limits what I can do and what my family can do. It’s a very imperfect magic. But, gifts abound should I choose to see them. Lord, please oh please, let me see them this year. Don’t let me waste precious gifted moments focusing on the messes instead of the miracles. This time of year is full of miracles. We are celebrating the biggest miracle on which all other miracles are possible. I must choose to fight the rising tides of overwhelming lists and even depression over all that I cannot do. But, my God is the God of my messy present, my wistful past, and my uncertain future. It is a miracle He has gotten my family and I this far. 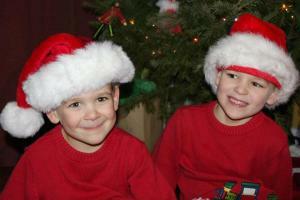 Two little boys with that Christmas twinkle.